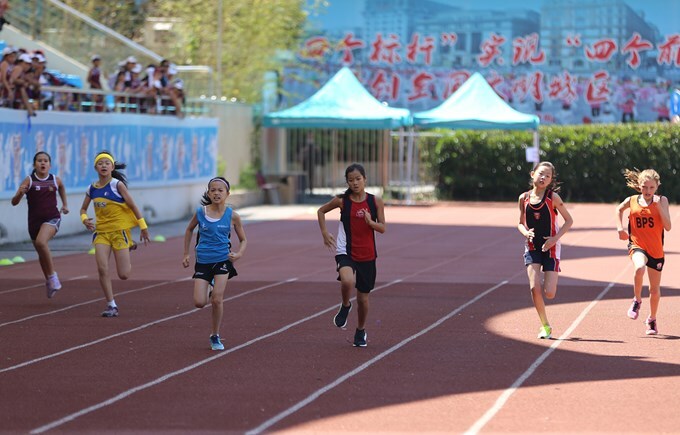 Our students have the opportunity to compete in many sport organisations across Shanghai, China, Southeast Asia and the world. The Pudong Tigers' mission defines expectations both on and off the field. In the name of excellence, we aim for a level of sports performance that will frequently produce success and the realistic opportunity to compete for team or individual championships. We have a strong and committed coaching staff, with increasing numbers of students competing each year. For our older students from Year 10 – 13 the highlight of the sporting year is the end of season ACAMIS tournament. Teams travel across China to compete in Volleyball, Basketball, Netball, Rugby, Swimming and Football tournaments. 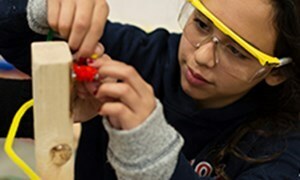 The students will enjoy three days of intense competition with students from other schools and different cities. 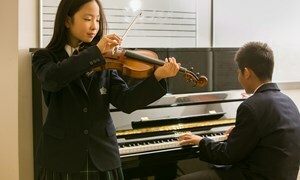 This is a great learning experience that not only builds teamwork but also draws outstanding performances from students. Students from Year 5 to Year 10 have the opportunity to compete in the Red Group FOBISIA games, these are international sporting events held three times each year in a variety of locations. A team of multi-talented students is selected to compete in football, athletics, swimming and basketball in the U13 and U15 FOBISIA games and the Primary FOBISIA games sees the students competing in swimming, athletics, football and tee-ball. Being a member of FOBISIA allows the students to take part in competitive sport, make new friends and the FOBISIA games are a real experience for all those students who are fortunate enough to represent the school. Our Middle School students from Year 6 - 9 play against other schools on a weekly basis in a range of sports as part of the CISSA programme. 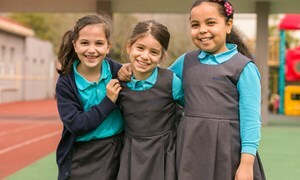 Different sports operate at different times of the year, with opportunities for teams of boys and girls in football, volleyball and basketball, as well as boys’ rugby and girls’ netball teams. There are also competitions for table tennis, badminton and cross-country running. This gives our students the maximum possible exposure to their favourite sports in a competitive but friendly atmosphere, preparing them for the tough sporting challenges they will face later on. The Secondary students in Years 10 -13 have the opportunity to play high quality competitive sport in the SISAC leagues, with opportunities in Division One and Division Two ensuring that young sportsmen and sportswomen are playing at the right level to challenge and develop them. 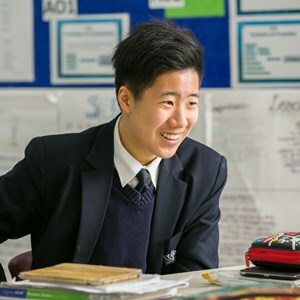 Students have the experience of hosting and playing away in football, volleyball, rugby, netball and basketball, as well as competing in cross-country, table tennis, badminton and athletics tournaments. Intense but friendly rivalries with other schools help to build team spirit and our students learn to win well and lose with good grace and determination to learn. We have a very strong swimming programme and swimmers from Year 3 up train hard and compete regularly in high level competitions throughout the year. The Swim team will be entering into the FOBISIA and ACAMIS Swim meets this year on top of the SSL swim meets. The swimmers understand, perhaps as much as anybody, that hard work in training pays off in competition. The British International Schools in Shanghai have set up an organisation to have competitive one day tournaments for U14 school teams in football, basketball, volleyball and athletics. The philosophy of the organisation is to be able to prepare the students for the rigour and competitiveness of Secondary School sport.